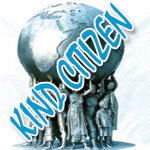 Home / Kind Citizen / Think Of It—Always! Easily, though respectfully to the other Arab Spring revolutions, Eritreans in the opposition draw lesson and hope (‘Hope’) from the fall of Gaddafi regime. The dramatic death of Muammar Gaddafi has more than direct political implication for the Eritrea’s Monster. Isaias just lost a close friend, monitor, confidante, benefactor, kindred spirit, partner-in-crime. Their grasp (literal and metaphoric) of power is strikingly and shockingly similar. (Both might not have a single hair on their heads at all, I bet ‘ya!) A ‘la Gaddafi and Charlie Sheen style, can you distinguish between these hastily assorted quotes of whether Isaias’s or Gaddafi’s. Of Pigs and Men. Try, if you can. Could you tell? I didn’t think so. They say, people get the government they deserve. After seventy years of combined intense political and military struggle, we, Eritreans, find our people, once again, defrauded out of our dreams, out of our dignity. The indisputable fact and the point of departure for any discourse in Eritrea is this: Currently, in the year 2010 (2011), Eritrea is one of the two or three worst countries out of 183 countries. We may not be lucky to get the government we deserve. We may not be lucky to get the peace we deserve. We may not be able to enjoy democracy and justice we deserve. Instead we get the deeply Unpopular Affront for Democracy and Justice we don’t deserve. We may not be able to enjoy the decades-anticipated, much-sacrificed for, liberty and dignity we deserve. We may not have the government we deserve. But we should get the opposition we deserve. We should get the reconciled and strong opposition we do deserve. We should get one. We should. That much we deserve. With love, camaraderie, courage, empathy and kindness, all is possible. An opposition we deserve is possible. We should get one. That much we deserve. The cardinal, immutable axiom for our way forward is if we are not guided by the spirit of reconciliation and fairness, we will not go home. Worse, there will not be home. We can’t afford to polarize or marginalize an opposition member or group. We have to reach out, not reach short. We have to extend our hands, not clinch them. We have to use our potential to the maximum. We have to get the opposition we deserve. We should get one. That much we deserve. Can I add more so NOW? I strongly believe in engagement. Congregating people of different backgrounds and aspirations for the first time in decades is no mean feat. For me that is priceless. My undying motto is this: our dear Eritrea might be lost and we may never save it…but at least let us have the integrity to reconcile to each other. 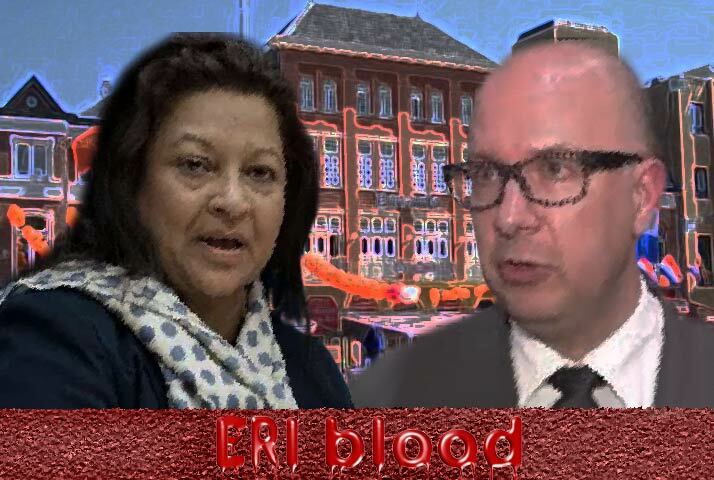 So if it were up to me, ENCDC’s Congress should focus more on reconciliation, creating platform, rapport and confidence building mechanisms and in terms of actions against PFDJ (special emphasis by Diaspora opposition to use of sanctions, and human rights cause to combat PFDJ apparatus) than in devising a political formula for future Eritrea (that may not come, really), a mission that has eluded Eritreans for more than 50 years. 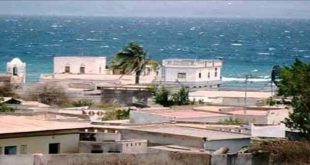 Political solutions for Eritrea are intractable let alone for these tough times and let alone for ENCDC (which has clear flaws in mandate, discipline, competence, discipline and organization), it is the Achilles heel of Eritrea since 1941 (go figure!!! )…and thus we need to have the humility to accept the limits history (History) tied us to. Bottom line: If it were up to me instead of belaboring about constitution and political strategies, I would have settled, and popularized something akin to the EDA charter which is leaner, accommodating, understandable and more importantly more mainstream for most in the opposition. After all, it is EDA itself that made the charter. More pointedly, the current rift between some EDA groups and the Commission itself is troubling and telling. For some in the EDA, you can never be taken as genuine opposition no matter what you do simply because your grandfather’s godfather used to be a ‘komandis’ or ‘you don’t subscribe to our political rigors’ (or both). Clearly, they would prefer to keep the status-quo or the illusion of opposition vanguard-ism as they feel threatened by what they consider would be more relevant actors. I sincerely beseech to those groups: please this is the time smarten up, be humble, and see the limits of our politics and elevate it to higher ground we all share: a Moral and Urgent need to save a nation from crunching jaws of PFDJ. Now, for Diaspora, we need to own the human rights cause and the UNSC sanction, without ifs and buts. They arm us with ample tools to fight back against PFDJ where it is relevant. Let us learn them, digest them, internalize them, adapt them and use them in each of our groups, cities, and countries. Fortunately, PFDJ is flailing its tentacles all over the Diaspora. We should stop and see which one could be amputated using the UNSC sanction. At the end of the day, we little people (everything of us is little, really) with hugely noble and immaculately holy Cause may not be able to save our dearest, most beloved, most endeared ‘Erena.’ May be. May be not. It should not be a mere consolation but a sad yet noble fact, though, to look back and see that we at least had always kept our integrity; had at least led an honourable life and died an honourable death; that we had acted in good faith; that we had held each other, and held close. The vicissitudes and trajectory of history is decidedly Delphic. Thus, we should embrace our limitations and strengths. We should locate the one and only enemy at this point of our history is PFDJ’s Isaias (Being hundred times worse than Gaddafi that he is, our own Monster may be number fifty fourth to fall, it matters less!). In all probabilities, he is going to kill Eritrea (surely the post-Isaias era is unnecessarily blown out of proportion; how many angels could dance on the head of a pin?). We should work to embolden each other (especially the Youth) and learn to consciously see the best in us. 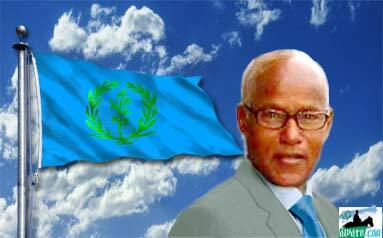 Each discourse should start and finish on what PFDJ is doing DAILY to Eritreans. If and when we get to do these critical elements, we do have a better shot to witness the Deliverance of Eritrea. In the meantime, in the event of (the seemingly invincible) Gaddafi’s demise, the (seemingly invincible Isaias Afwerki’s still firmly ‘ab zufanu’) I would like you to read, no! to repeat, no! to sing, no, to hum these immortal words ‘Think of it—Always. Think of it—Always. Think of it—Always.